Hello to you all. I am happy to share some fun and exciting news with you today! 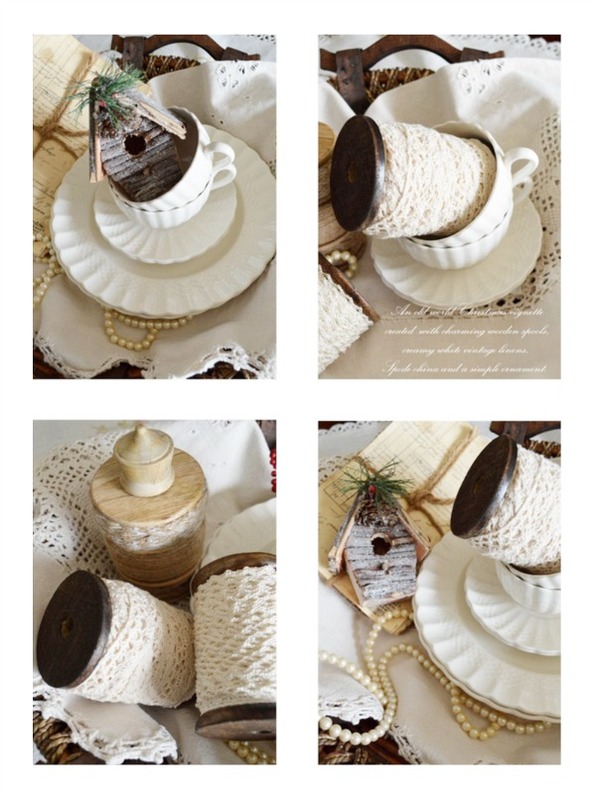 My sweet friend Kerryanne English Shabby Art Boutique has published her annual "Free" online magazine The Simply Shabbilicious Magazine - 2015 Christmas edition which is now live and I've been featured in it! To say that I am honored and humbled to be included with this group of incredible women is an understatement. It is a must see guys. Kerryanne has really put together some of the most amazing and gorgeous homes I have seen this year. You will love all the ideas and inspiration that she has pulled together. And her blog is gorgeous too. I have been following and admiring Kerryanne's work for years and to now be included in our her amazing magazines feels incredibly rewarding. I cannot stop smiling. 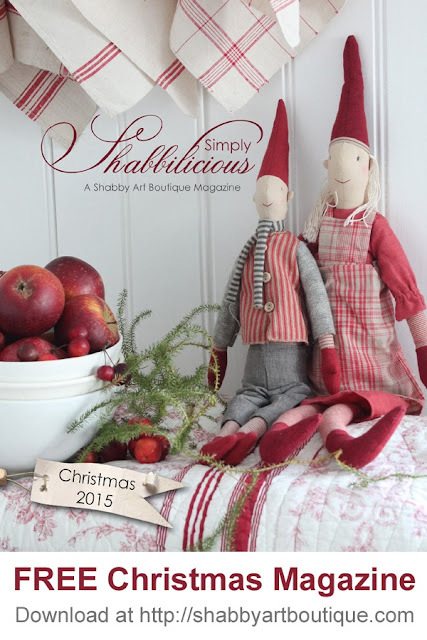 So please enjoy special Christmas issue of Simply Shabbilicious's Magazine. 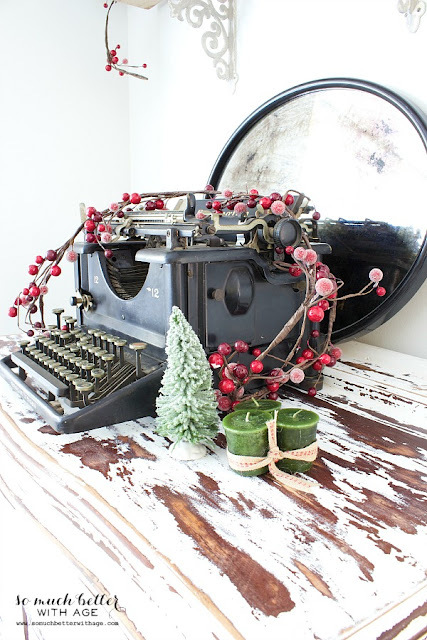 It is filled with home decor ideas, recipes, DIY projects and of course, Christmas inspiration. Here is a little sample of what you will find inside. Here is a gorgeous holiday photo shared by So Much Better With Age from her Holiday Housewalk tour. 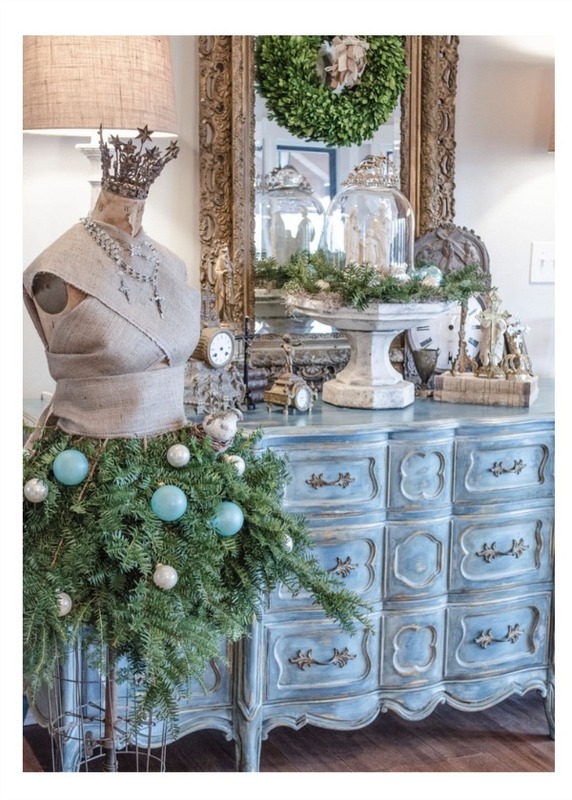 Now who wouldn't love this gorgeous tree dress and crown from Edith and Evelyn. This is so much my style. Wow congrats on being featured in the on line magazine. That is so exciting!! I hope you are enjoying the holidays. Enjoy the weekend. Thank you so much. Holidays are in full swing and things are super busy around here. I hope you are enjoying the holidays too sweet friend. Wishing you and your family a blessed and happy Christmas. I so enjoyed this magazine Janet! I have been a long time fan of Vibeke so I was so excited to find both of your features. Congratulations!!! So proud of you. We can celebrate with tea next time you are this way. I am glad you enjoyed the Christmas Issue. It is truly a beautiful publication full of amazing inspiration. I love Vibeke too. She is incredible. Thank you for such beautiful words. It warms my heart. We will definitely get together soon. Congrats for having be featured on this lovely magazine, my darling Janet, you truly deserve it !